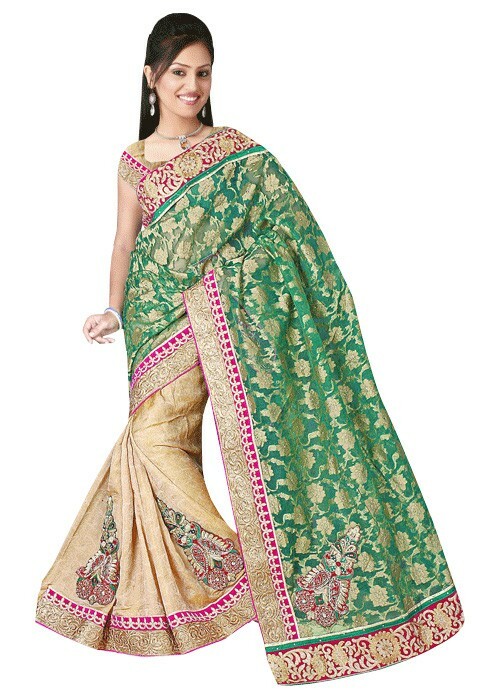 The traditional pattern are utilized in this attractive Green and golden Georgette lahenga style Half Brocket half silk saree to sustain the cultural look. It is ornamented with the heavy border, patches, stones, embroidery and Kasab work. 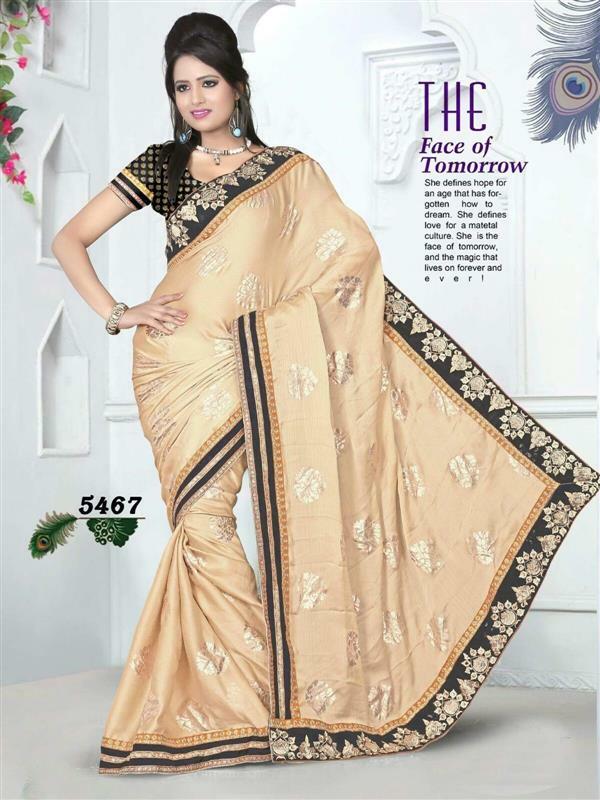 It gives you most stunning and ethnic look.